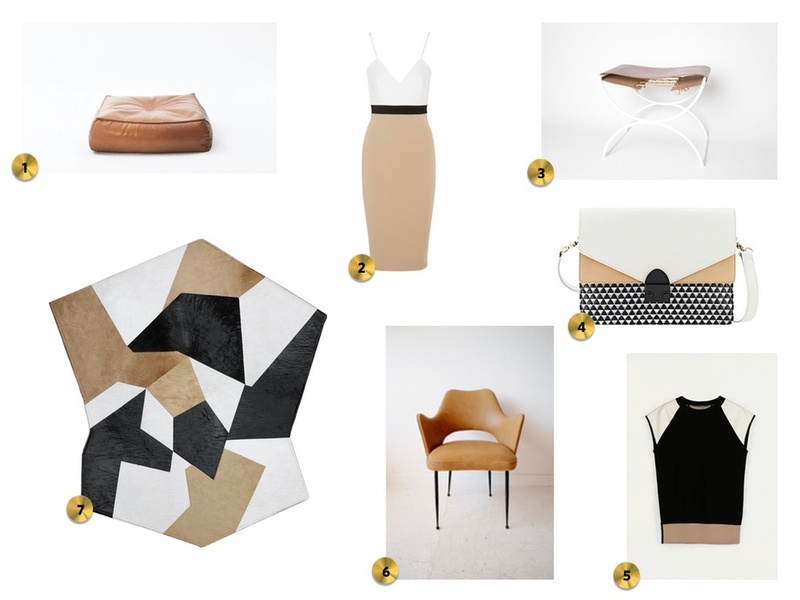 There's something sophisticated and refined about the neutral combination of black, tan and white. The simple pairing of a camel trench draped over a white dress with black buttons can gracefully take you from the office to dinner. 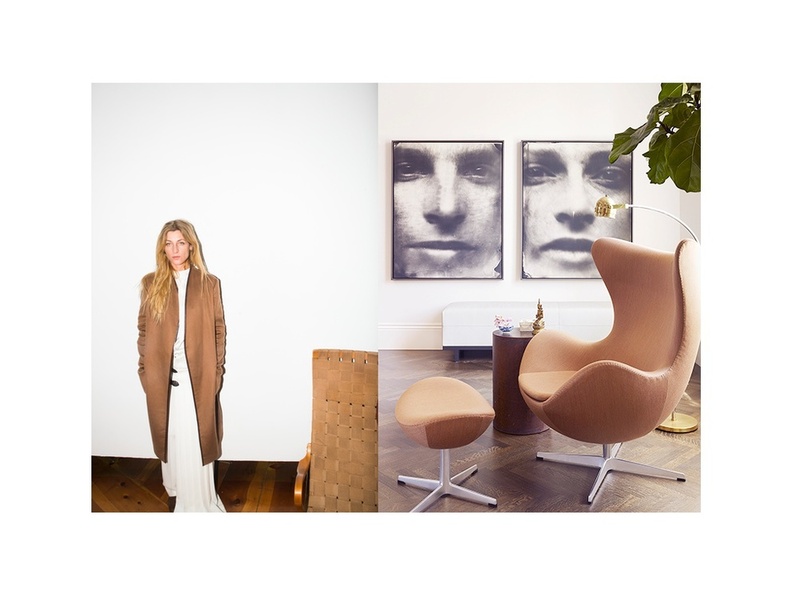 An Arne Jacobsen Egg chair in caramel colored wool juxtaposed against clean white walls and graphic black and white photography in a room by Redmond Aldrich Design appears modern yet timeless. Here are some beautiful ideas for incorporating these colors into your home and wardrobe.